Place ingredients in a bowl and massage together. 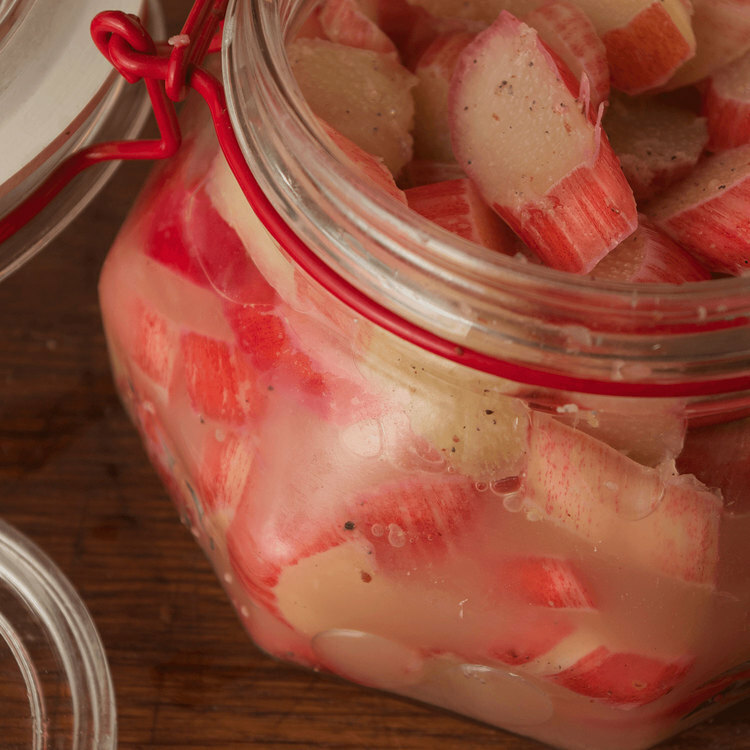 When brine is above the rhubarb, weight it down. Allow to ferment for four or five days. Not everyone is a fan of rhubarb; a rhubarb crumble is nice, maybe a rhubarb tart. Cooking rhubarb, even gently, often leaves it mushy and that can be off-putting. But rhubarb is the first ‘pudding’ crop of the garden year and that makes it special. Before the strawberries and gooseberries, rhubarb is forcing jolly pink and green umbrellas up out of the newly warmed earth. Spring is here and a new season of cooking begins. 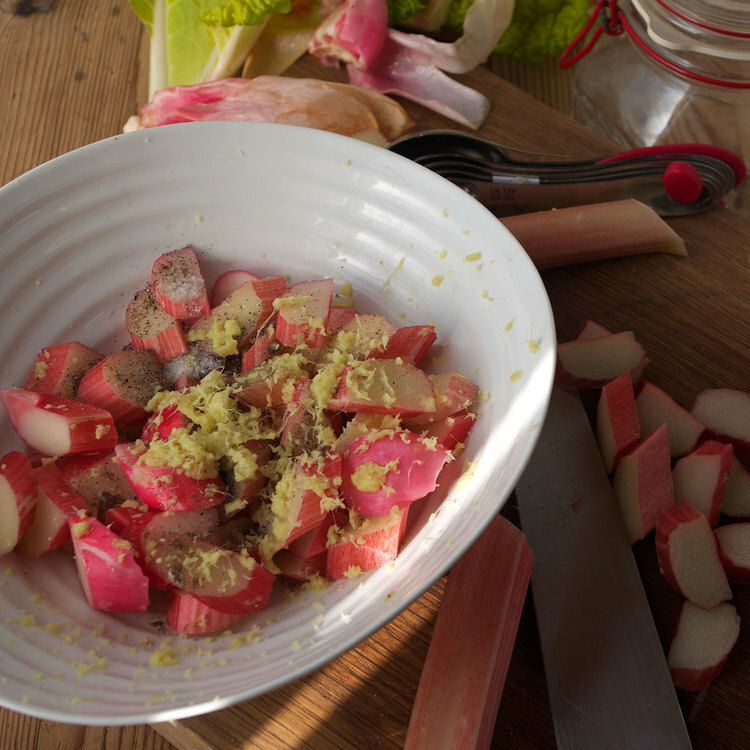 Place sliced rhubarb, salt, ginger, and cardamom in a bowl. Massage all the ingredients together. When the salt has coated all the rhubarb and it is starting to weep, cover with a towel. Allow to sit for a half hour, then press into a jar. When the brine is above the rhubarb weight it down and allow to ferment on a work-top in a warmplace, out of direct sunlight, for four to five days. Then use in Rhubarb and Apple Fool. Take a cup of your fermented rhubarb and put in a liquidiser with two cups of pureed apple (I had some left in the freezer) and two tablespoons of sugar. Blitz. Whip half a pint of double cream (or use yogurt) till firm and fold in the pureed apple rhubarb mixture. Delicious!